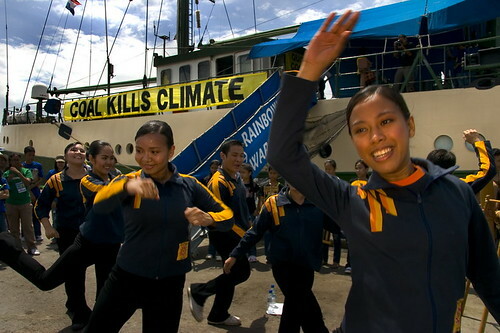 Greenpeace volunteer and celebrity Angel Aquino visits the Climate Defenders Camp in Iloilo City. 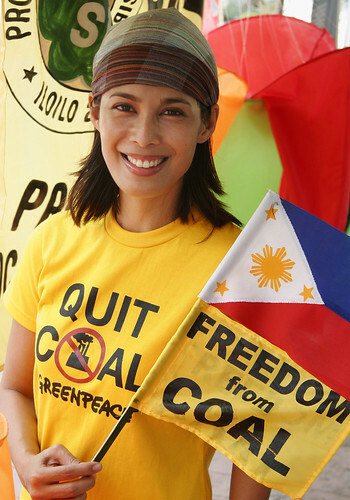 Actress, model and longtime Greenpeace advocate Angel Aquino celebrates Independence Day with Greenpeace’s Climate Defenders Camp. “We will not go quietly into the night!” We will not vanish without a fight! We’re going to live on! We’re going to survive! Today we celebrate our Independence Day! Do you still remember those war movies with scenes that have the protagonists surrounded by their enemies and then all of a sudden the cavalry arrives and then the tables are turned and the heroes are now on the winning side of the battle? In a way that’s what we felt now that the Rainbow Warrior has arrived. 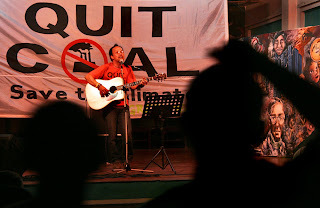 The day was greeted with hope that what has been so far accomplished since the ship’s arrival here in the Philippines for our Quit Coal Tour will be replicated in this leg of the tour.